Hello everyone! 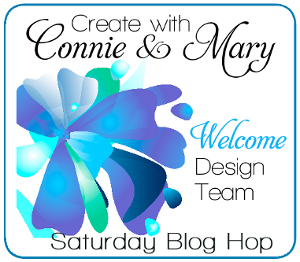 It's time for another fun and fabulous blog hop from the Create with Connie and Mary team! Today we are featuring cards that use the Bokeh technique. I am your stop after the fantabulous Debbie Henderson! She is always such an inspiration! I have always enjoyed and admired cards that use the Bokeh technique but have never given it a try. So this blog hop was good for me to get myself hooked on this technique! Love it! And it really is super easy! I wanted to do more of a masculine look so here is what I came up with. Now it's time to send you on to see what the super talented Connie Babbert has created! I'm sure you will be inspired! Thanks for stopping by and have a super day! 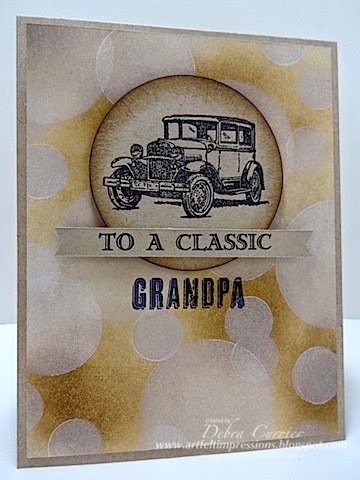 A awesome masculine card. I love the classic car and your bokeh technique. nice work could also use the trike or motorbike love the bokeh techniques. Control Freaks Blog Tour: New Product!